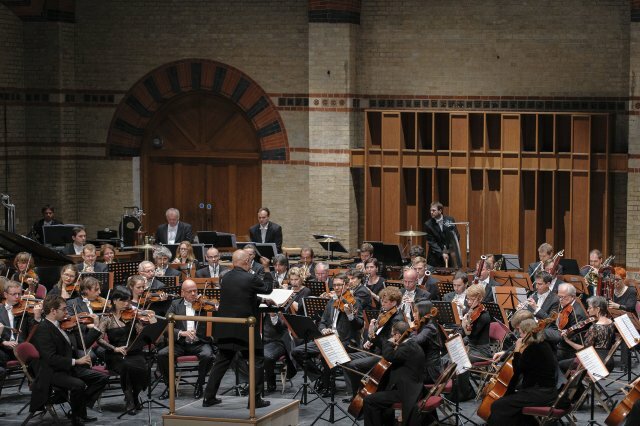 This was the second of three concerts by the Basel Symphony Orchestra at Cadogan Hall as part of this venue’s Zürich International Orchestra series. Though not billed as such, each programme features what might be loosely described as minimalist music. All three works played in this second programme derived from works that were written other than for the concert hall. By far the best known of these is John Adams’s The Chairman Dances, which uses music from the opera, Nixon in China, with driving ostinatos juxtaposed with irregular accents and rhythms, and with colourful orchestration and subtle percussion effects. Dennis Russell Davies led his smallish and efficient orchestra in authoritative fashion. Philip Glass’s Cello Concerto No.2 is a re-working of music written for the 2001 film, Naqoyqatsi: Life as War. The work, which falls into seven sections, was first performed by Matt Haimovitz, with this conductor, in 2012. For the most part, the soloist is rewarded by music that has a lyrical quality: sometimes he seems to be making a commentary on the orchestral part, which often consists of rather less eloquent repetitive material. Two of the movements, ‘New World’ and ‘Old World’, comprise a dialogue between cello and light percussion, which makes good contrast with the heavier forces employed elsewhere. Haimovitz’s playing was remarkably beautiful throughout, despite the many demands made on his technical prowess. Michael Nyman’s Prospero’s Books derives from his music for the eponymous film. It comprises five movements as heard in this performance: these were not listed in the programme and which contained a rather confusing short essay on the score by the composer. Here again were repetitive phrases drummed out by the ensemble adorned by single instrumental comments, in contrasting metres and rhythms. But there was a distinct lack of contrast between the movements, four of which proceeded at a similar tempo, though this was occasionally varied; and the material seemed to be carefully constructed rather than creatively inspired; in the end this and the rest of the programme left an impression of continually stunted compositional growth. The hall was not much more than half full, but all the performances were greeted with much enthusiasm, it seems fair to report.